(Israel, 2016, 109 Minutes, Color, Hebrew, English subtitles, Cast: Yuval Segal, Ido Zaid, Danny Shtag, Osnat Fishman, Arie Tcherner, Jameel Khoury, Sharon Ingrid Stark, Jacob Zada Daniel ,Dan Turgeman). Avram, a small-time building contractor who is trying to make it into the big time, gambles on projects that exceed his capabilities. His family lives in the shadow of his career ambitions until one of the projects overwhelms him in debts that he cannot pay back. Doron, Avram’s 14 year old son, is a star athlete who escapes from the difficulties at home by leading his school’s team to the Tel Aviv Basketball Championship. His success on the court is an emotional force which helps his dad. As the story opens Avram’s wife Dassi, a nurse, is a member of a medical delegation on a humanitarian mission in one of the impoverished areas of Eastern Europe. When the situation at home becomes critically complicated she returns to Israel and discovers how much she worries about Avram and how much she really loves him. Both his son and his wife go through a rough time due to Avram’s financial downfall but, in their shared effort to help him, they rediscover the strength of their family ties. 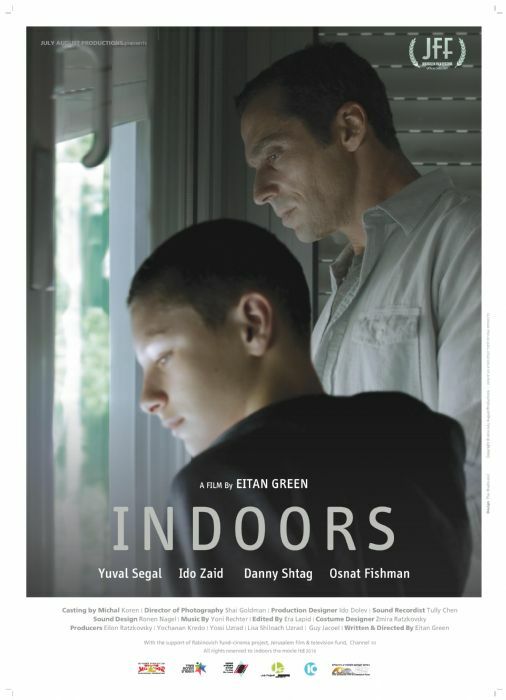 Haaretz - Eitan Green's Best Film!